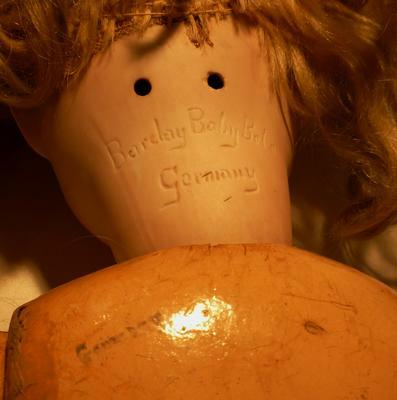 I have been a doll doc for many many years and finally came across a bisque head I have never seen before. She is 24" tall on a ball jointed compo body. The body is marked Germany on back of shoulder and head is marked Barclay Baby Bebe with Germany underneath that. She still has original blonde mohair wig and original blue shoes. Have you ever heard of this doll?